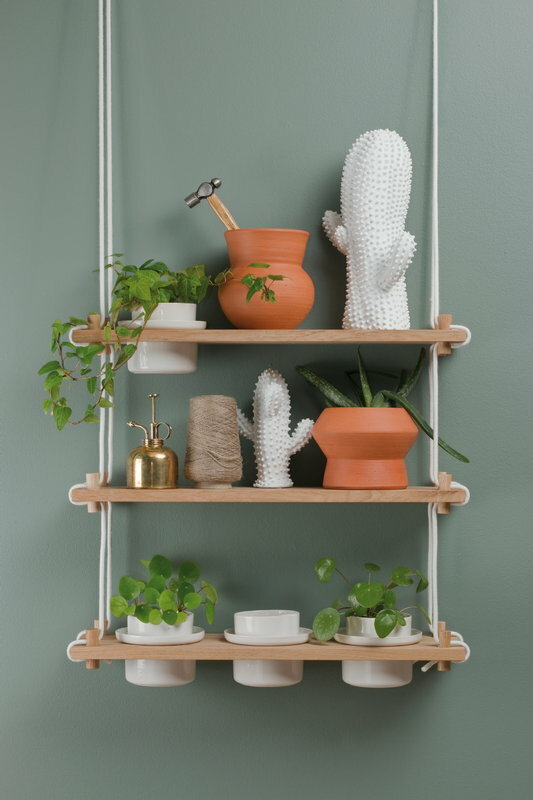 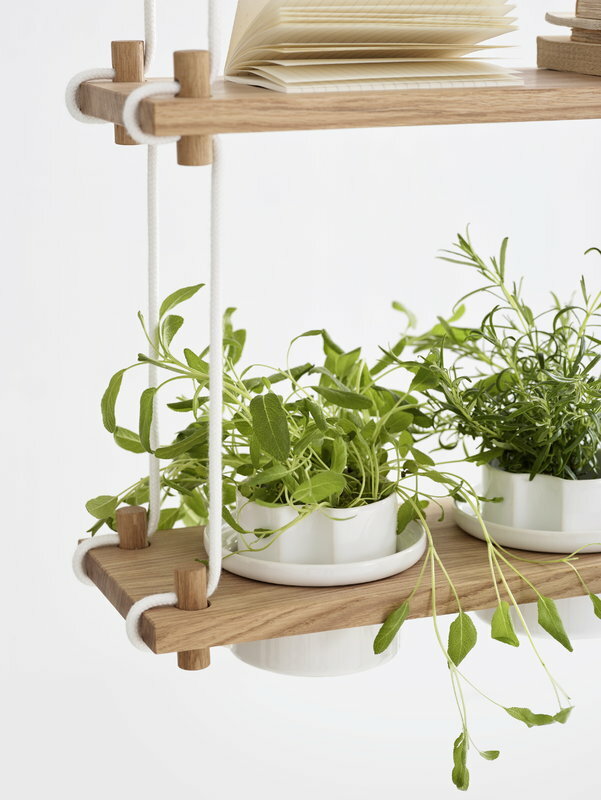 Riippu Garden shelf, designed by Samuli Helavuo for the Finnish Hakola, consists of three 60 cm wide oak-wood shelves combined with a sailing rope. The height of Riippu Garden shelf is adjustable from 60 to 100 cm, and it can be hung on a wall, by the window or in an open space. 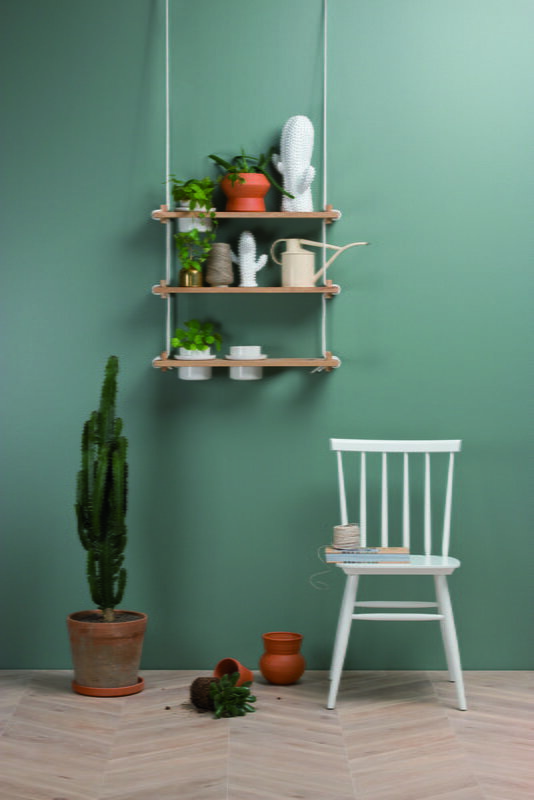 Riippu Garden has four holes sized 11,5 cm, designed to fit four flower pots – you can use your own pots or Riippu flower pots which are sold separately. 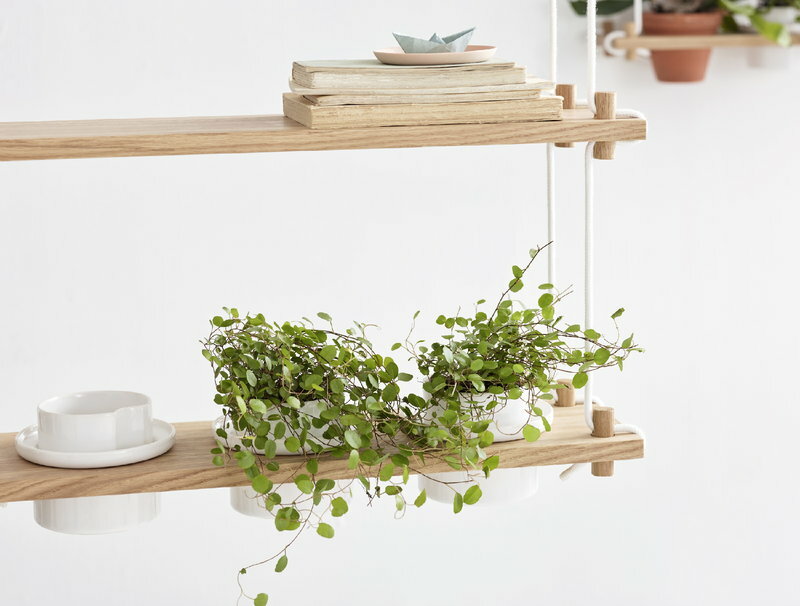 Riippu shelves provide a modern and characterful way to store for books, plants, kitchen equipment as well as small ornaments. 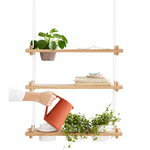 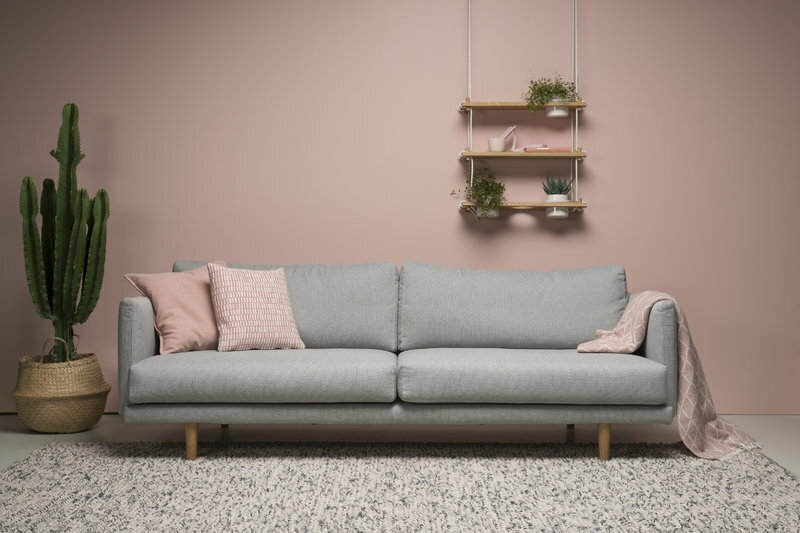 The shelves have been handmade in Hakola’s own factory in Jurva, Finland.